We all love handmade zines and are delighted to see that PMH creator of the Dilly zine will be having a Zine Sale this weekend. On Saturday 26th May from 2pm he will be selling selected zines at Jagbags. 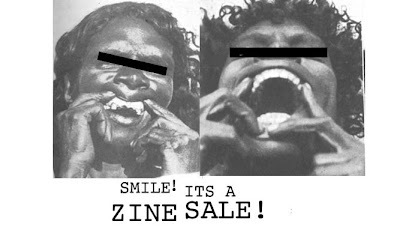 If you have created your own zine, you are invited to bring them along and sell them. Pop along hae a drink, watch some visuals, listen to some DJ's and buy some zines!